Food miles, physiological distancing, and waste are some of the downsides of our current food system. This article describes how we’ve gotten to this point, and explains how we can pivot to a more sustainable and circular food future. Cleanse your palette and have a read! Cities have always been the place where innovation sprouts, as well as the place where everyday problems persist. In so, cities are also generators of solutions. It has been our nature to live in small communities situated along rivers. Eventually, these areas turned into small villages and even metropolises, where now more than half of the world’s population lives. Where there was food from the river, livestock could roam and grains could flourish. Next, buildings were erected to connect life to food and commerce. The network of villages was not yet developed, so communication was only with the people directly around you, and sometimes between the different communities. As innovation embellished, the “wheel” brought transformed many of us from villagers to urbanites. Once the wheel was adapted for transport with animals, civilization took off. Transportation enabled not only the transfer of people, but also of materials and goods. At this stage, agriculture becomes more effective, while food could be produced and delivered from a larger distance. The invention of the wheel marked a moment when food and energy’s equilibrium was adjusted. Moving forward in time, many inventions around the wheel are realized. The cog-wheel and crankshaft make it possible to build windmills, enabling humans to pump water, grind flour and in turn, produce more food with less human energy. As more food and water developed populations, villages grew, shrinking the distance villages. At this moment, trades emerges to first connect villages, and further to connect a global merchant network. The industrial revolution is the next big movement to transform our world. First, the steam engine is developed. Next, the electrification of machines and engines is birthed while combustion engines are set in motion. With more powerful engines, food can be produced faster, and can even be produced further away to be brought to our village, and more our cities. This trend eventually resulted in the immense distance between where our food is produced and consumed. Did you know the average vegetable travels 2,400 km before it reaches your plate? Let’s say that today your produce is harvested, and within 24 to 36 hours it can be at your plate, tasting fresh! Within a few clicks, produce from all over the world can be ordered and brought to you. Is it too good t be true? On one hand, food is being transported from all over the world. On the other hand, we’re taking water and nutrients from all over the world and bringing it, for our instance, to the Netherlands. Here, we consume food and produce waste. These raw materials and nutrients are not returned to where they originated. So in reality, our international food palette take water, nutrients, and raw materials from a piece of land, leaving it plundered elsewhere. In a linear economy, resources in one land are plumaged to be consumed and disposed in another. “Geographic Material Colonization” I like to call it.… So why are we surprised with challenges arising at the places we’ve plundered? Drought, shortage of nutrients, people in distress, wars on water or other commodities and so on. We give rise to these struggles by consuming that we destroy other people’s lives. Next to colonization of materials, we’re tearing more and more the world’s reserves up from the ground, transforming it into one big cloud and hoping it will sustain. This withdrawal of materials at specific geographic places in the world is, to me, the problem currently taking place. Without mimicking nature, we’ve been blinding using a forged system. In nature, which we are still a piece of, there is no waste; waste is the nutrient of the next step in the circle. The waste of one process is the feeding for the next one. We have stretched this natural cycle too wide, we have made it too complex, and we are pulling nature too hard away from it’s natural course. Taking stuff from one place without returning it makes it impossible for nature to remedy the problems as it normally does. If we take water from Kenya, or even California, the local weather will change, making local production but also feeding animals and people impossible. So, the animals, the people but also the producers of food will search for new places, making the same mistake over and over again. Tearing down woods for the production of soy or palm nurseries also makes the problem even bigger. These biodiverse places store immense amounts of CO2 and biodiversity, which makes life for nature possible. The effect of deforestation for monocultures results in the unpredictable and unimaginable events seen in climate patterns and everything around which we can’t yet expect. In nature, when grass is all gone, the herd will go on in search of new grounds with fresh tasty grass to survive. Aren’t we also a part of nature? Don’t we also travel away when there is a crisis in our own meadow or herd? If we have a problem we will search for new grounds to get food, a safe shelter or a place to give our offspring a better future? When the unpredictable and unimaginable are more present, the migration of people will surge, bringing extra distress and misery in the world. There is also an innovation which lies around the corner, which makes it possible to restore natural processes. After all, nature restores herself best on her own. But let’s have a look at nature, she doesn’t produce waste, since the waste of one process is the food of another process. We can see that this occurs in cycles which are logical and large in scale. One of the admirable circular processes I’ve seen, is the vast water streams which flow around the world, passing nutrients from one to the other side of the world, or the principle that the Sahara is the prime fertilizer of the Amazon. These processes seem to have no problem yet, with the big changes happening this moment, you never know. 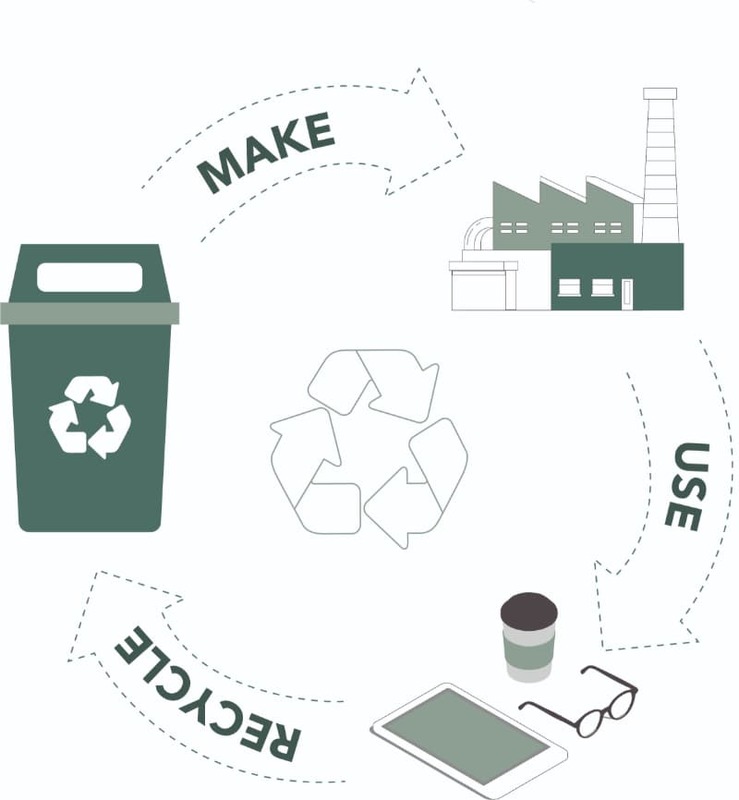 A circular economy is an alternative to a traditional linear economy where we use resources for as long as possible and regenerate products and materials at the end of each service life. We have to close the loops again, in a logical and tighter way! Taking food from the other side of the world, tearing nutrients and water from the ground is not justified. The food produced over there is for the people over there, what we produce over here, is for here! There is always the argument that producing food somewhere else is cheaper than producing it in a greenhouse here. But how can we produce a tomato in Holland’s greenhouse economically? How can we produce potatoes at such a low cost in Holland? These products are not originally from Holland, but from South America, yet we’ve been growing them here for ages. We produce food elsewhere, mostly because its cheaper. Of course, this rationale is endorsed through physiological distancing and does not consider externalities. Taking water, extracting nutrients and disturbing social harmony does come at a cost. Is it really sustainable to produce crops at a far-away land for nothing but low wages in return, in areas with water shortages and poor working conditions, and then to have our produce shipped in a refrigerated vessel running on fuel..? When the hardships occur abroad, we do not see what makes other people suffer. To change the system, we need to grow local for local consumption. If we don’t want to make the natural system collapse, we need to redesign the complete food system: making the circle smaller, keeping water. and restoring nutrients. The goal is to recreate the system of nature, where there is zero waste. 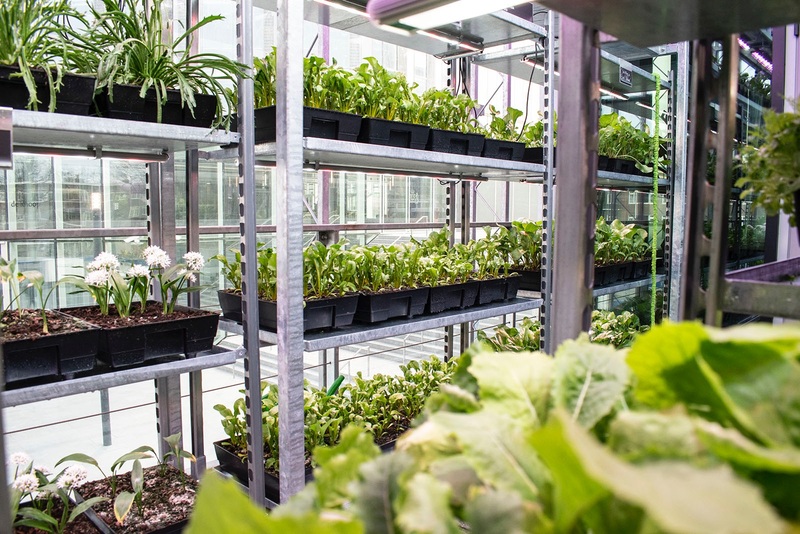 More than 200 crops were sprouting along the perimeter of a zero waste pop-up restaurant at the Brasserie 2050. Read more about how we realized this circular project in this link. What about bananas, avocado’s, and pineapple? Why don’t we grow those over here? The same was with quinoa, we cherished it, so we brought it from South America and nowadays we can produce it right here! Those bananas will be less cheap at first, as is any new effort, but so was tomato and corn at one time. If we produce avocado in our own country, we can harvest and deliver it to our city or village for consumption with an electric vehicle, this will be the cleanest and most responsible piece of fruit there is. Without making a problem somewhere else, and without taking nutrients from another place in the world. Growing local means local water usage, less transportation, less energy, less packaging, and less refrigeration. It also means transportation by sustainable energy. It means local nutrients for local use, local waste for new local re-use. As the gaps between physiological distancing of the food system narrow, waste streams get shorter, and the supply chain is once again perceived with it’s local impact. 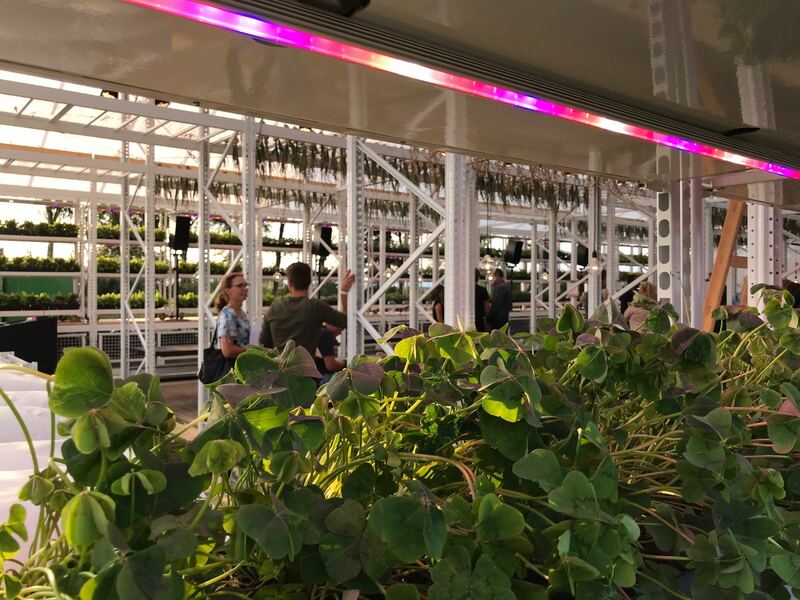 The Greenhouse Restaurant is leading Holland in a circular motion. All of the ingredients served in their kitchen come from either upstairs or within the Utrecht region. In fact, materials from the entire building are up-cycled and leased. See more about it here. “Local” can be in and near the city, or even super local from around the corner or the rooftop. “Super local” makes it possible for consumers to see clearly how and where their food is produced, any by who. The knowledge we earn from more local produce is what can now be exported around the globe. Act global, grow local! In conclusion, with the knowledge and technical solutions of today, we can make radical changes in the system, looking to nature for inspiration and proof. By this way, we can restore the food system to make it circular and more energy efficient, clean and social. we create green oases in and on buildings!